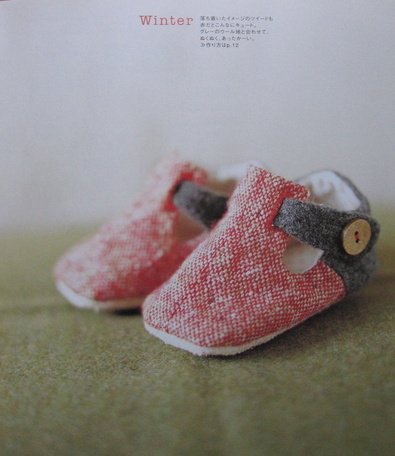 Sock Yarn - Regia silk colour, shade 185. 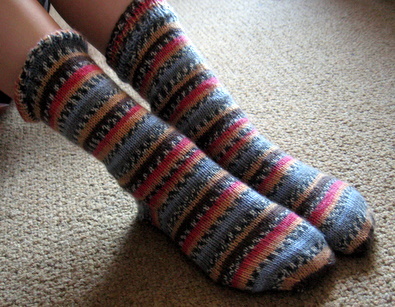 Pattern - Regia sock pattern, slightly modified to include two large holes, lots of ladders, four five or six dropped stitches, various extra stitches here and there, and some very crap Kitchener stitching on the toes. 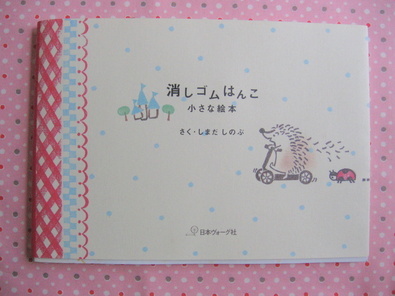 ISBN 9784579111640. 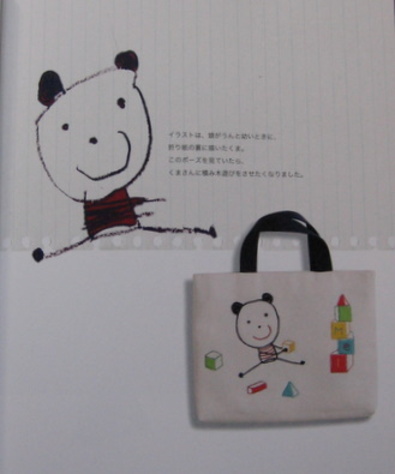 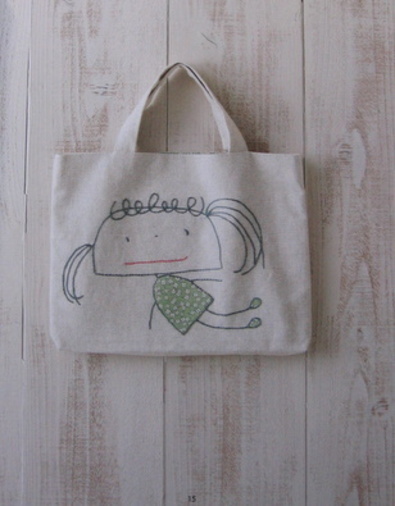 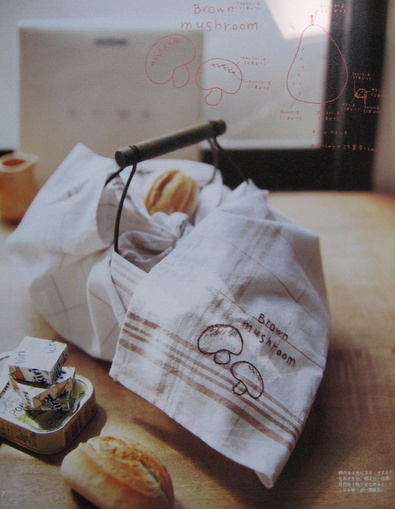 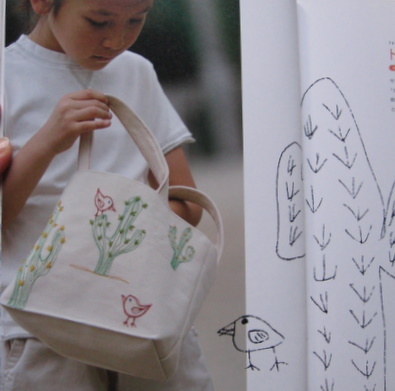 Making cute little bags from your little 'uns drawings. 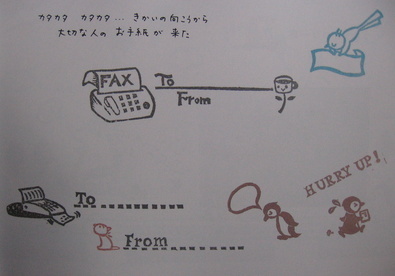 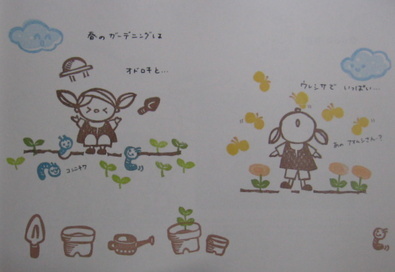 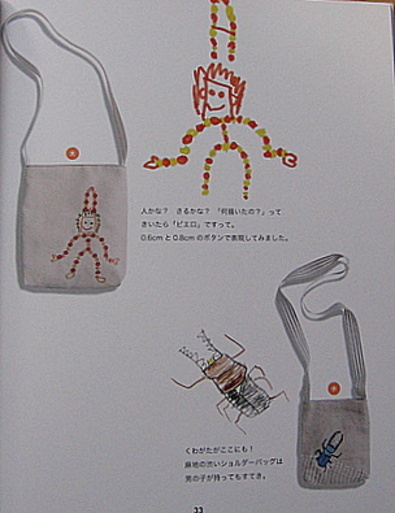 Very good drawings they were too. 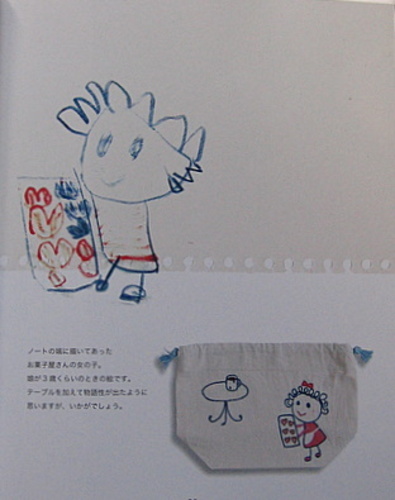 I wonder if she still has that envelope ? 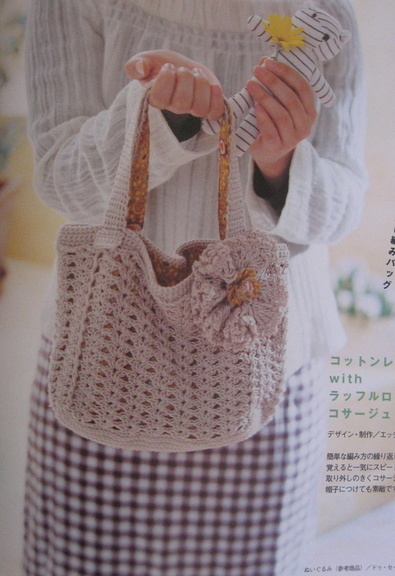 That would make an interesting bag. 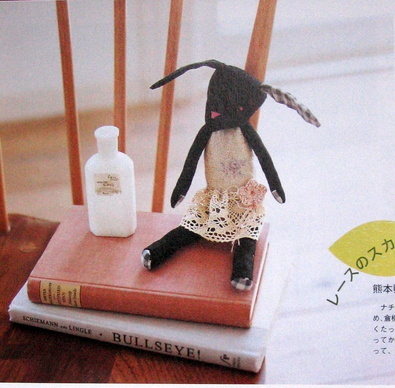 I'll ask her. 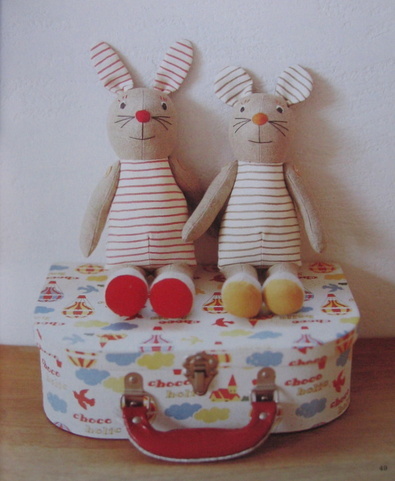 No time for words, it's sunny (amazingly) and we're awf * to the seaside. 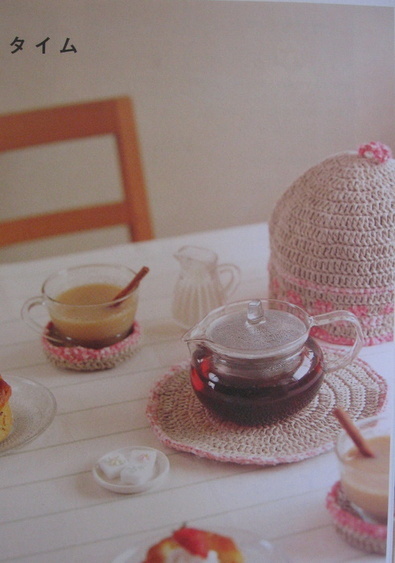 * that's how the Queen and posh types like me (not) say off. 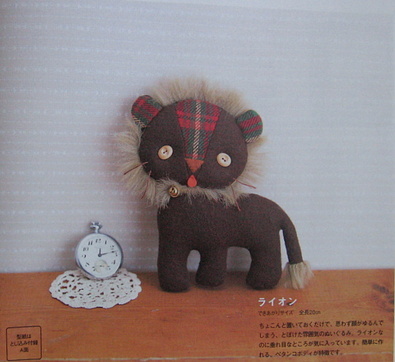 Sorry, I haven't had the chance to do the mousey pattern yet, but it will be done very soon I promise, I'll also do a very easy how-to for his bed. 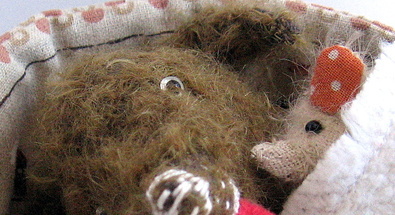 I've been very busy putting together a little someone for the one in ten auction, I found Eireann in my spam box at the beginning of this week ( along with a lot of other e-mails that shouldn't have been there - if you've mailed me and I haven't replied it's because you've been languishing in my spam box too. 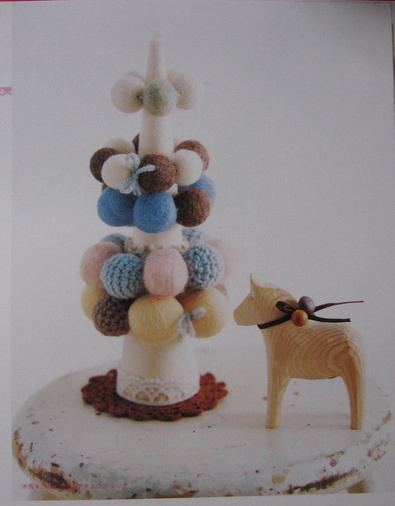 I do apologise ), so it's been all systems go on getting my contribution ready. 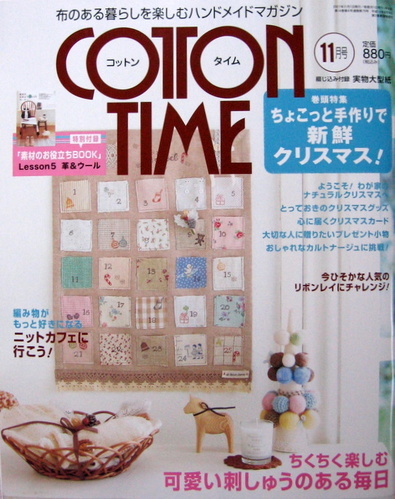 In the meantime I'll show some pics from the summer Cotton time magazine. 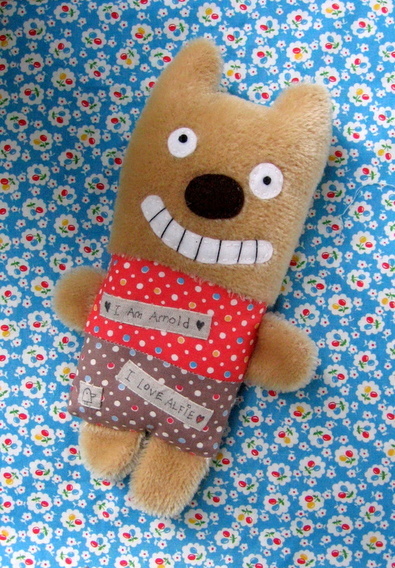 Available from Superbuzzy and here. 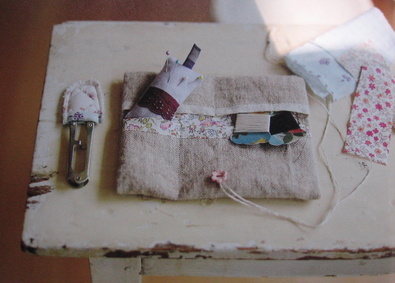 more pics and details tomorrow. 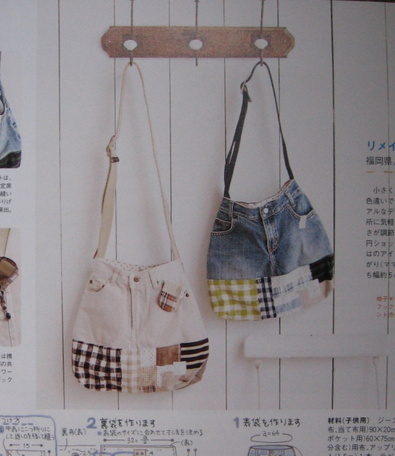 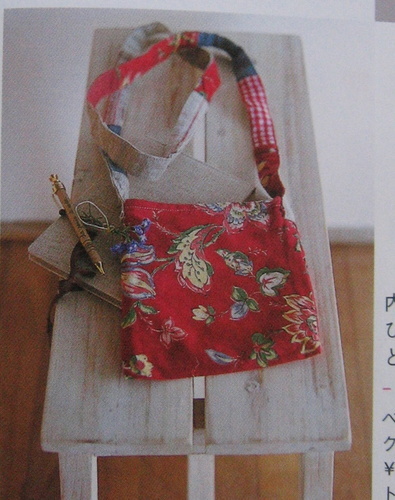 I like the patchwork straps on this bag. 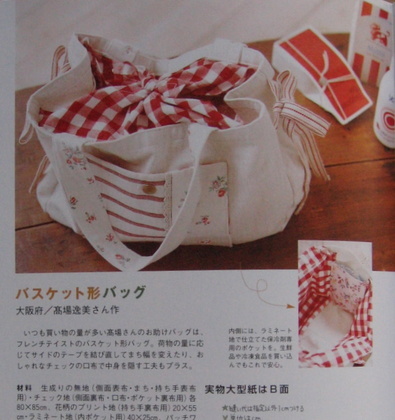 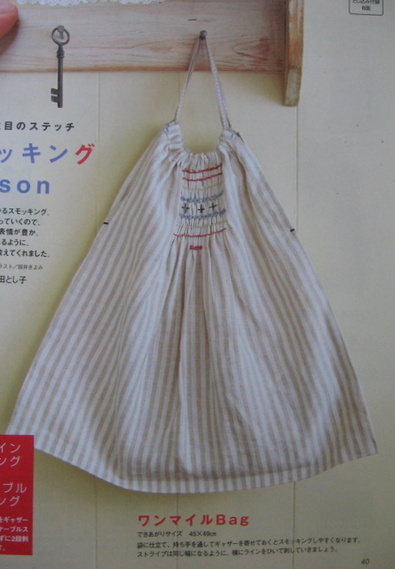 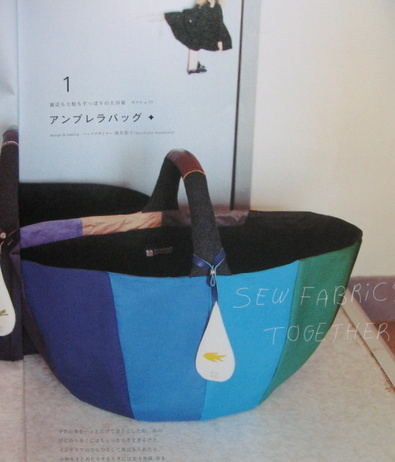 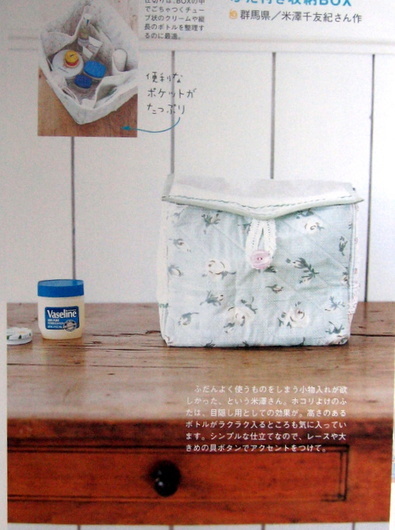 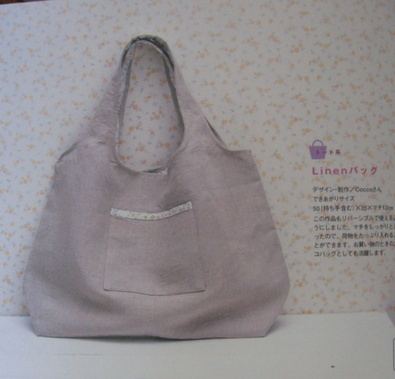 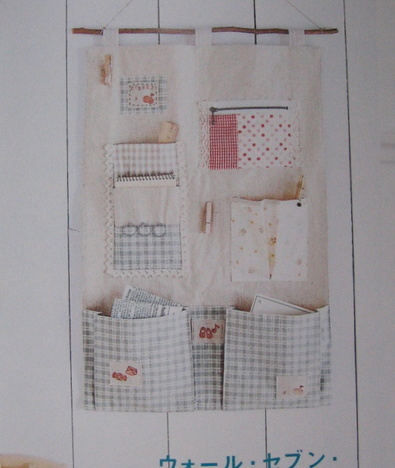 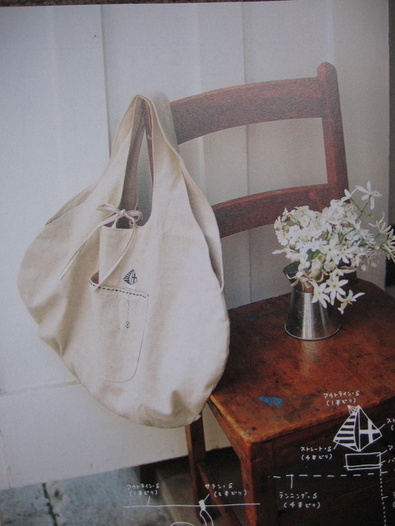 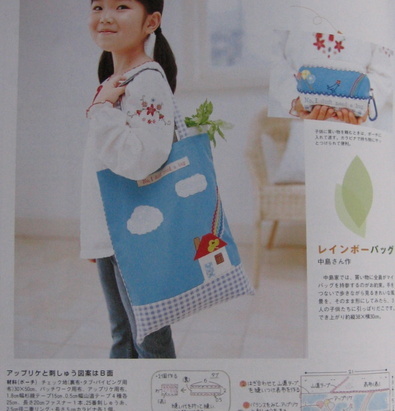 I want to make myself a new patchwork shopping bag next week ( if I get the time). 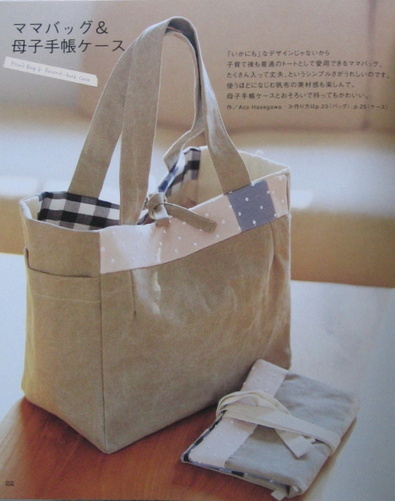 maybe it'll have a label on it saying " I am not an Anya Hindmarch bag " ? 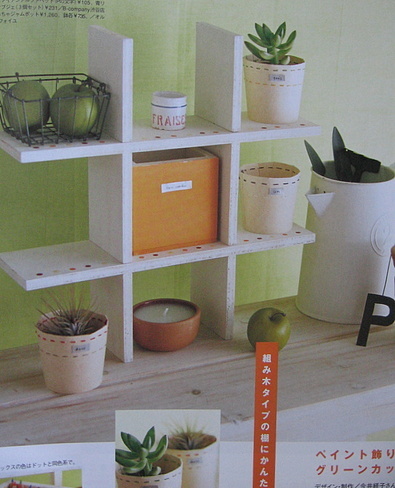 wooden shelves and little pots made from card. 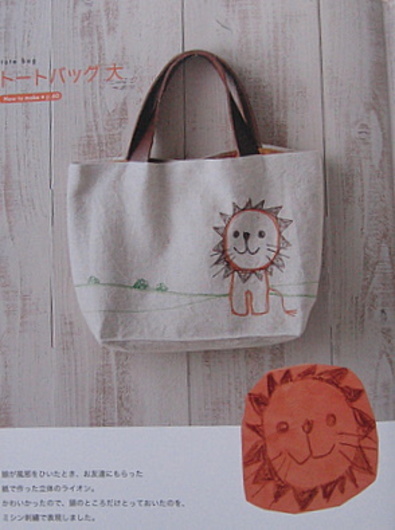 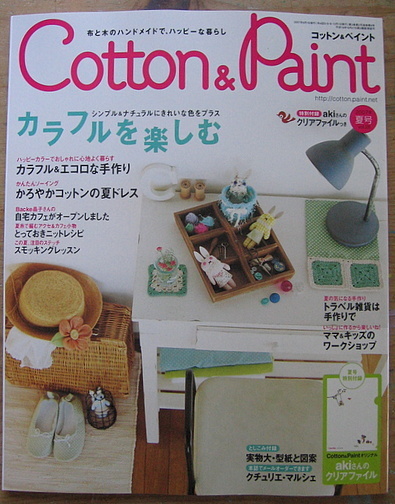 Available at amazonjp (type cotton & paint into the search box), although they only express ship now. 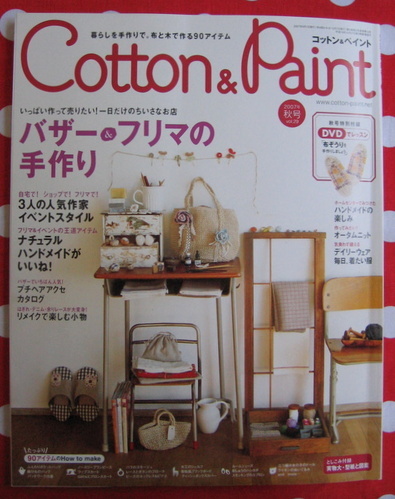 I recieved my copy two days after I ordered it, but man, it was pricey. 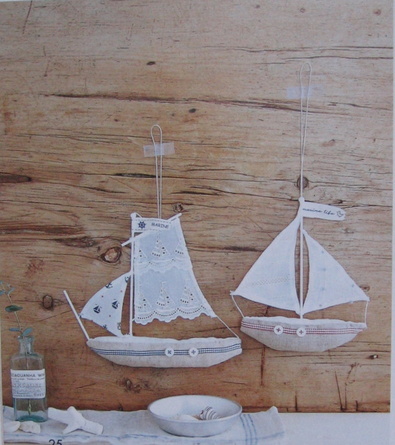 Also available here - one of my favourite e-bay sellers. 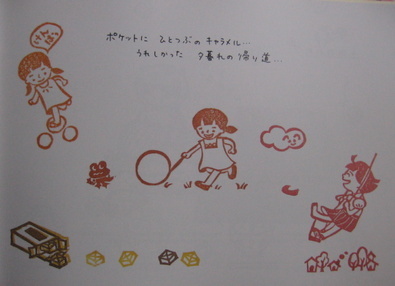 It's Billy's birthday on Monday, so tonight he get's his Nintendo wii that he has had to save up half of the money for (this has been an extremely hard thing for Billy to do as money burns a huge hole in his pocket). 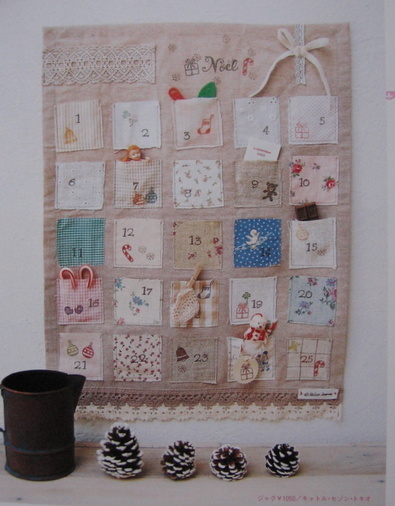 He gets it tonight so the menfolk in the house can play on it all weekend, probably only stopping to eat and wee. 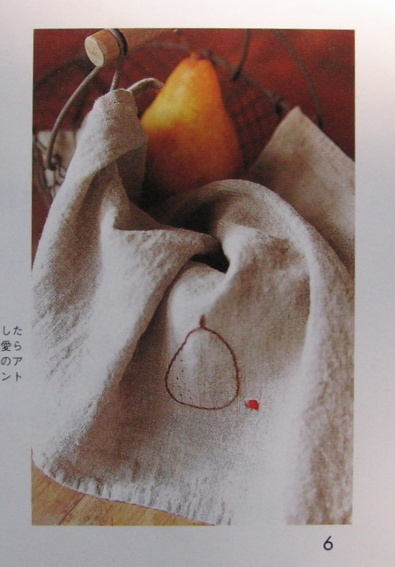 That's probably why it's called what it is - to remind you to go to the lavvy and not pee your pants. 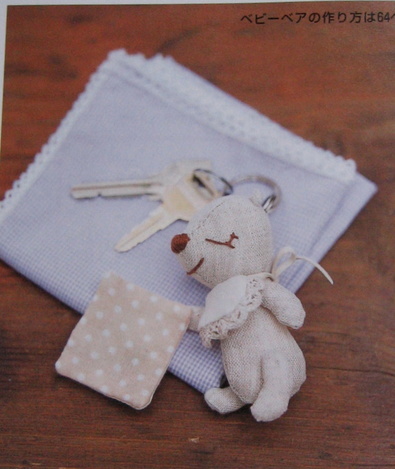 Molly and I will be left in peace to make beaded bracelets and a sleeping bag for her teddy. 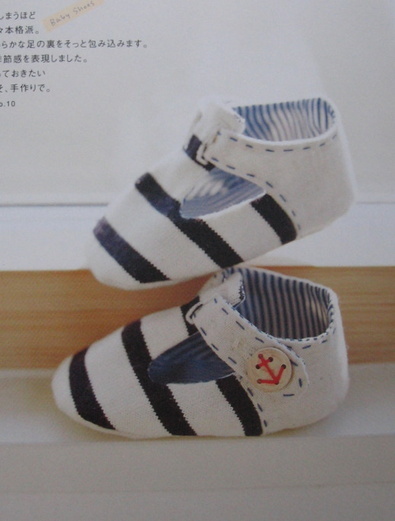 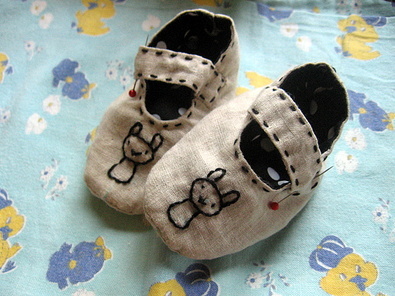 little baby shoes. 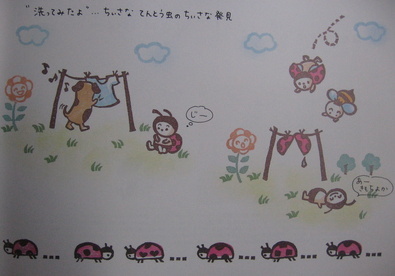 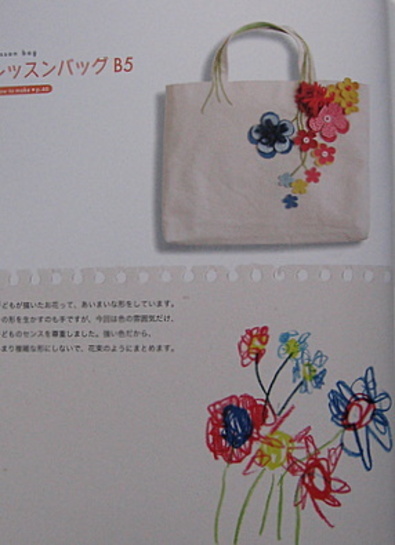 Pattern from this book. 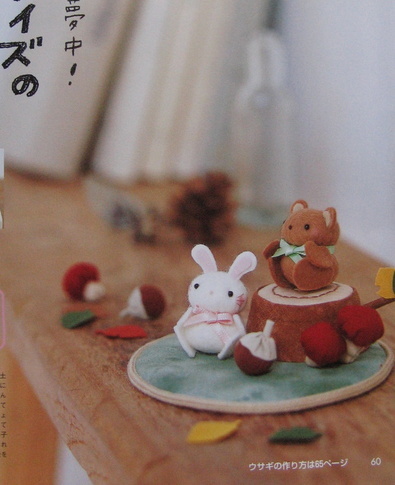 How cute are they ? 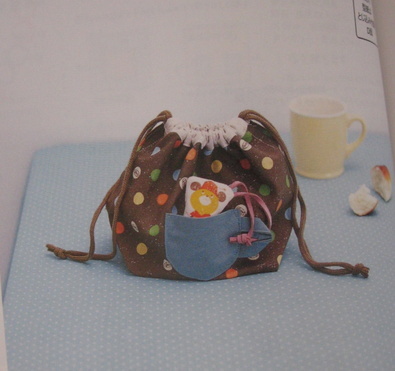 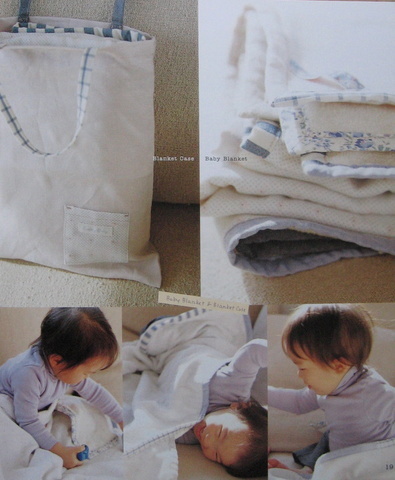 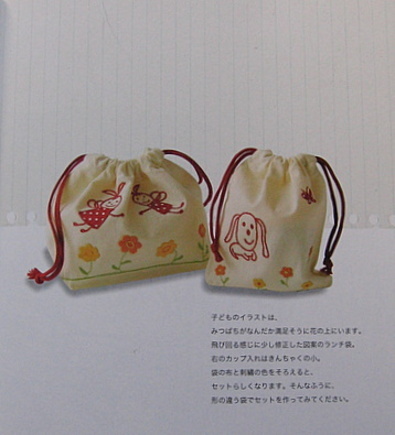 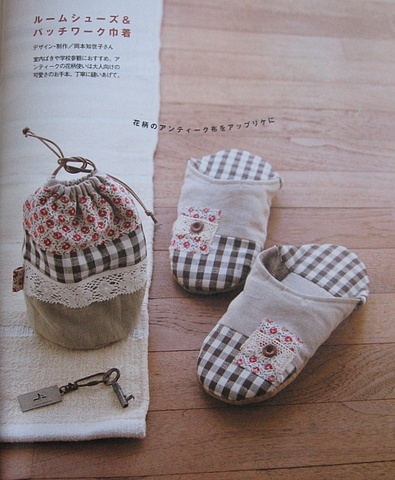 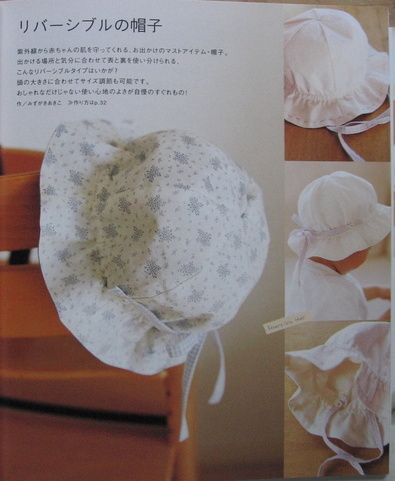 There are also lots of other nice things for baby..
simple little blankets and a bag to put them in. 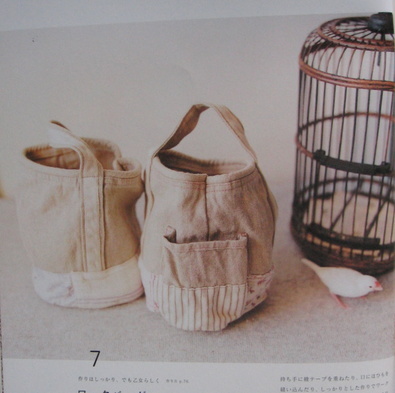 A nice bag for Mummy to cart around all the crap things you have to cart around when you have a little 'un. 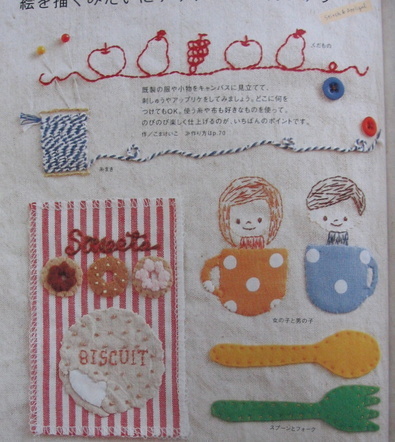 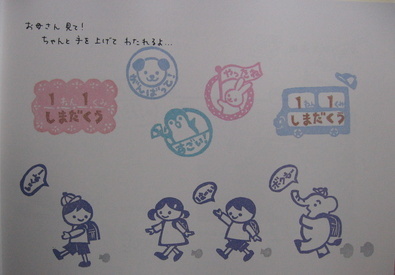 and very cute applique and stamp ideas. 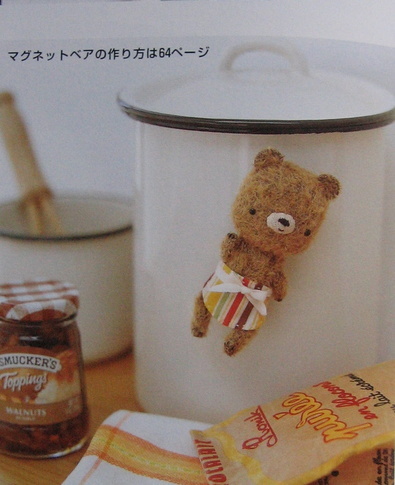 Have a great weekend everyone, I shall mostly be tackling my huge pile of ironing before it topples over and crushes someone to death. 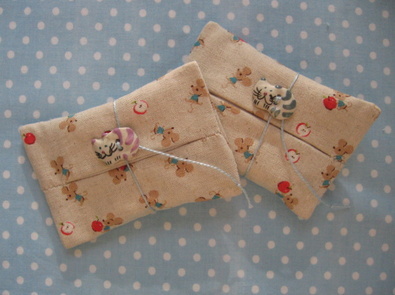 Available from kitty or here or here. 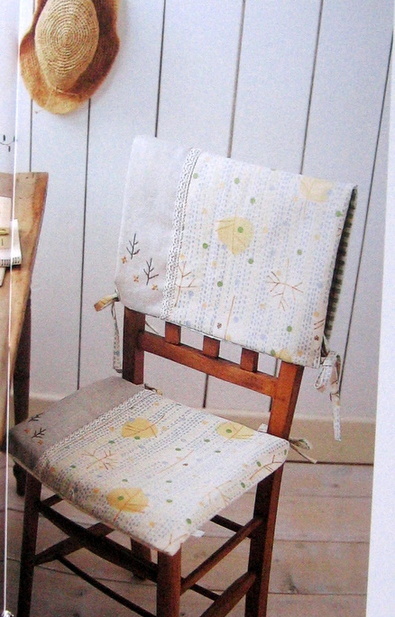 Although I'm finding it hard to say go spend your hard earned dosh on this one. 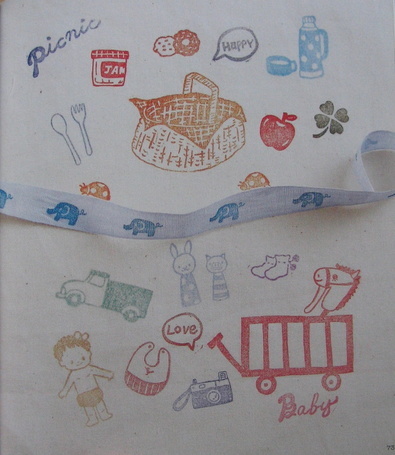 There are some nice things in here.. 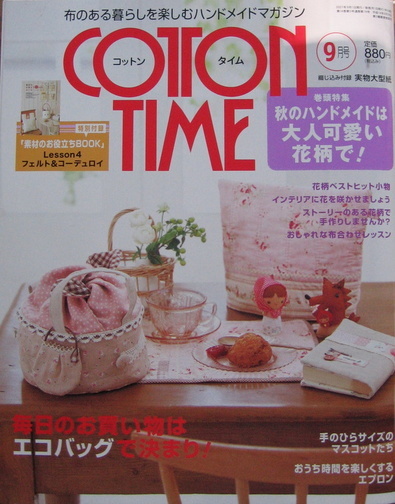 But really, as Hillary said a while ago ( sorry, to lazy to find the exact link), I'm starting to feel a little jaded with the newest mags. 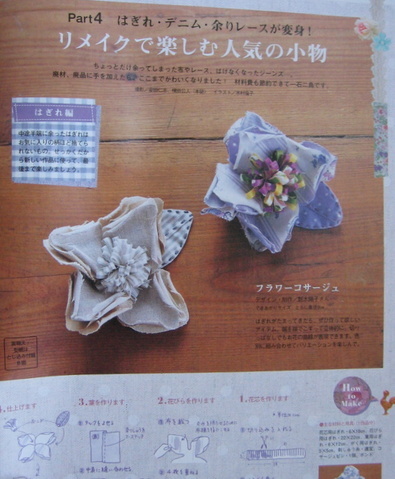 They are still lovely, but, if you have a stash of Japanese craft mags I'm not sure you'll find a lot for you here. 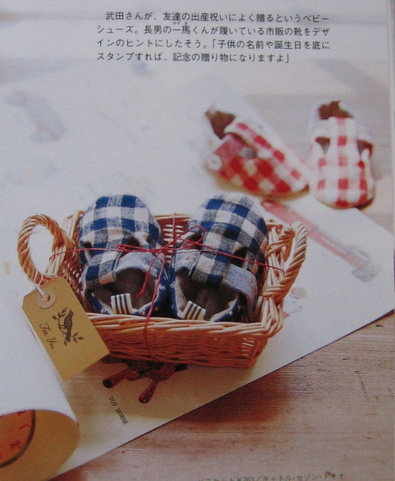 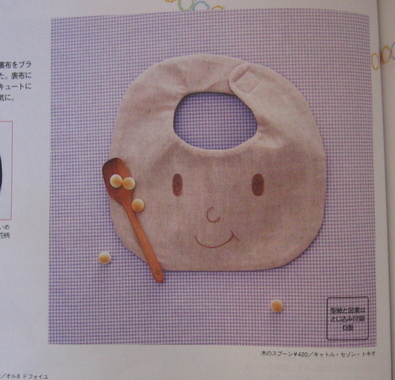 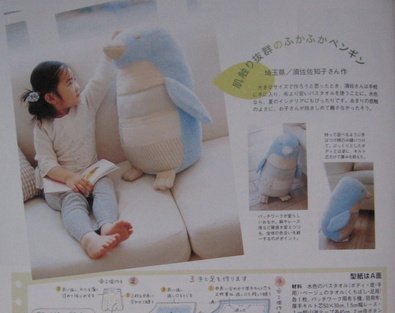 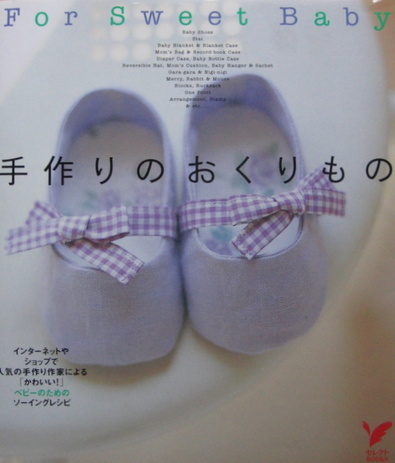 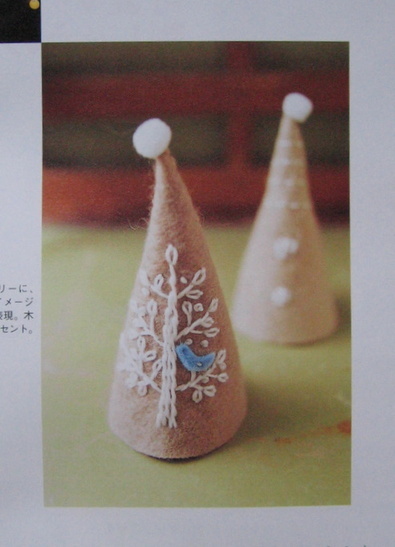 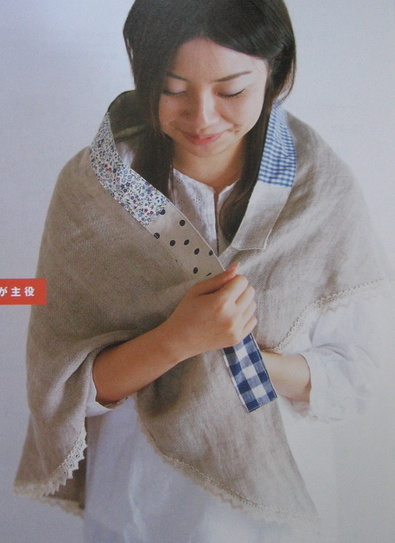 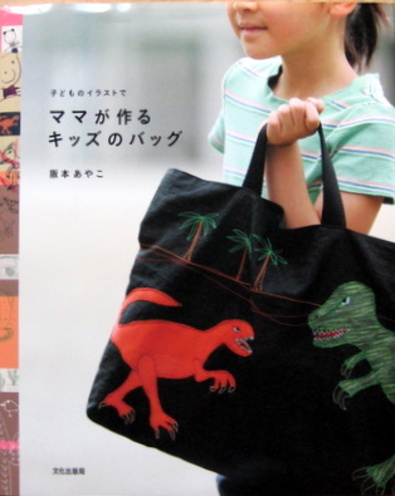 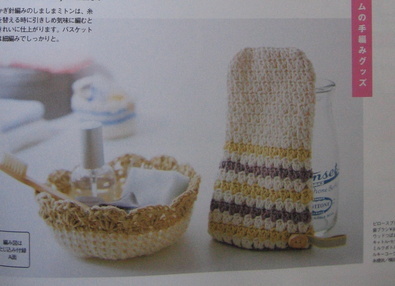 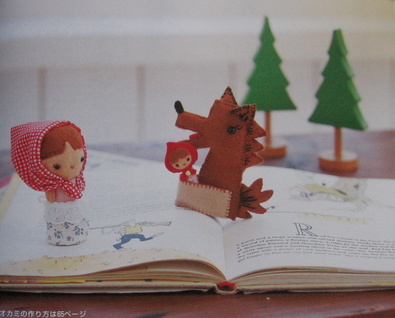 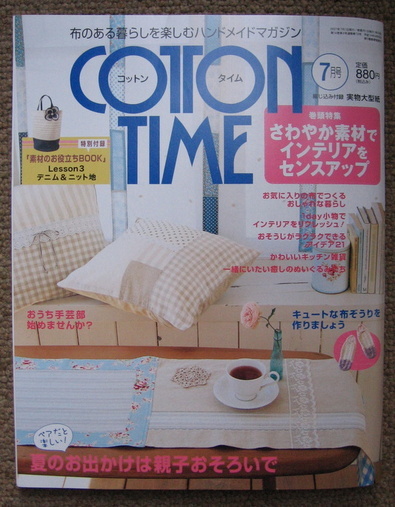 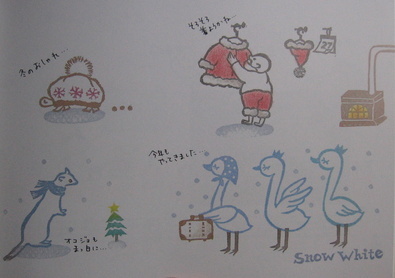 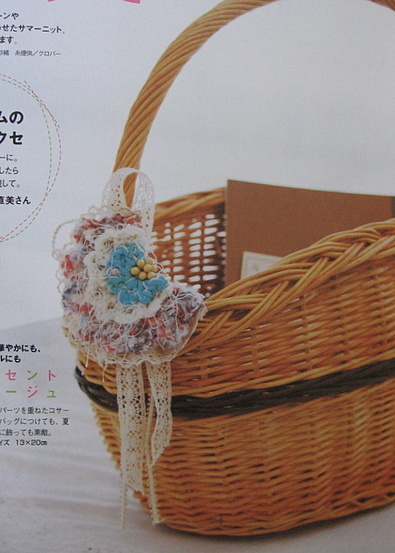 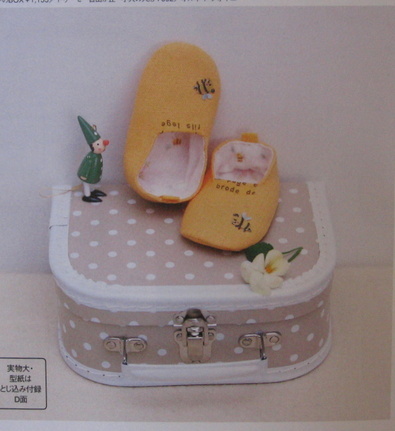 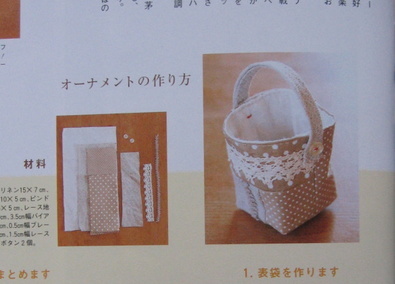 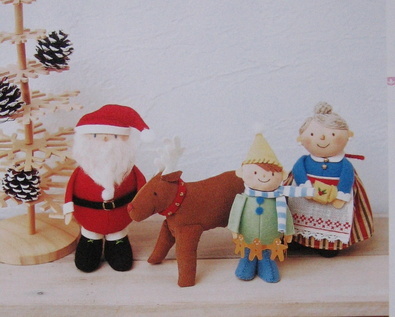 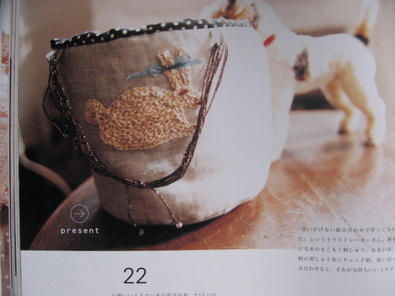 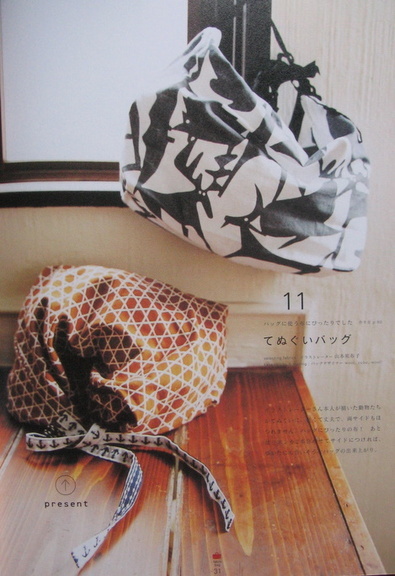 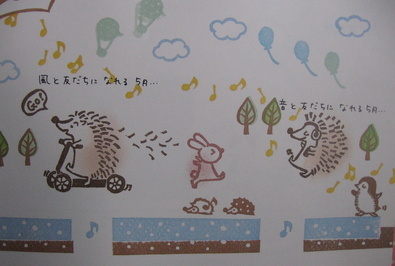 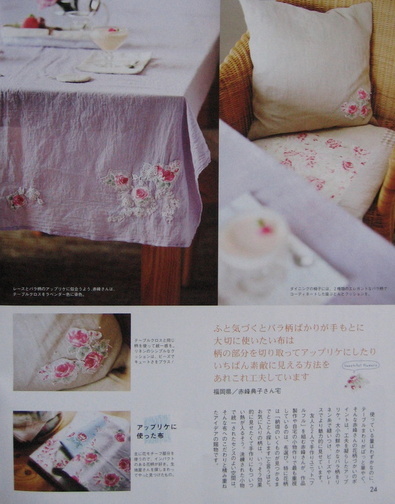 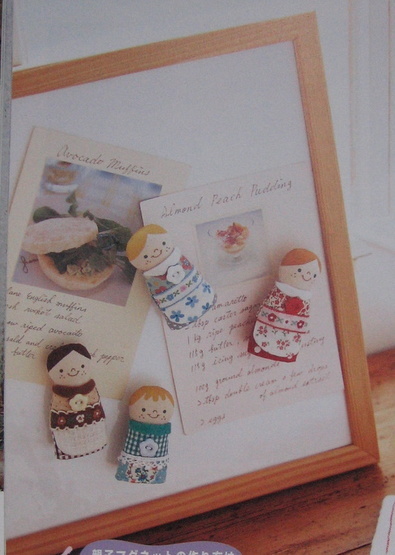 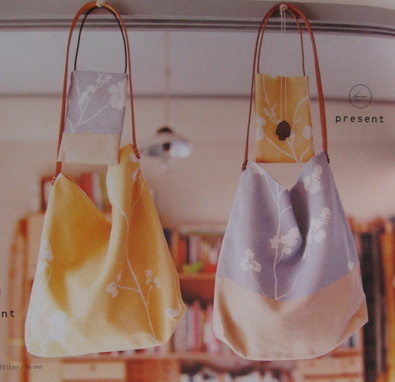 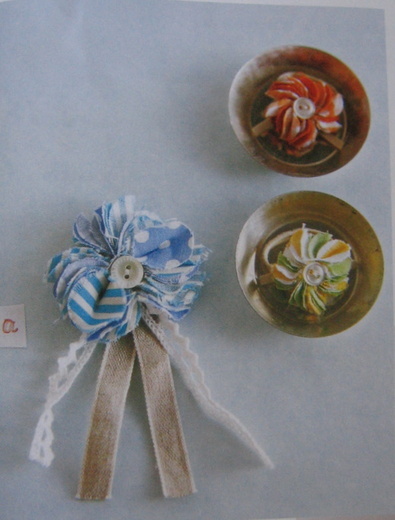 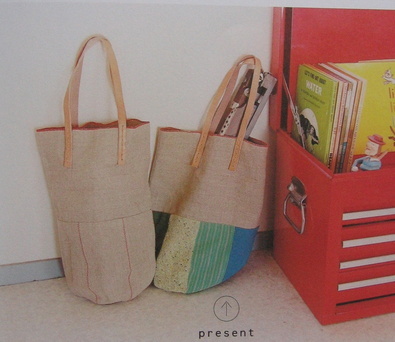 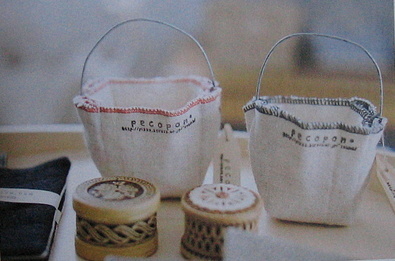 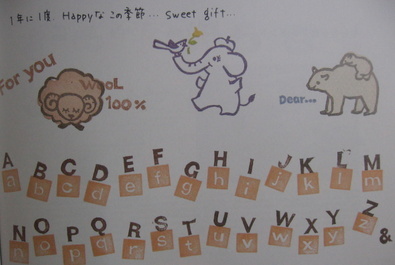 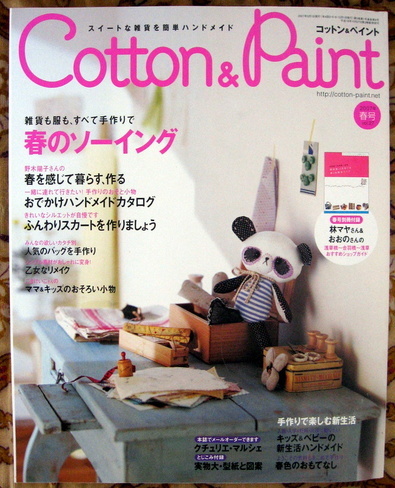 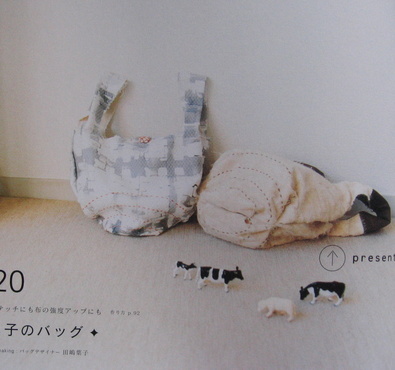 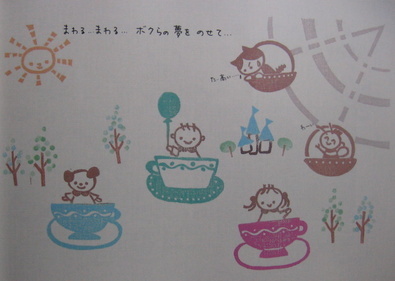 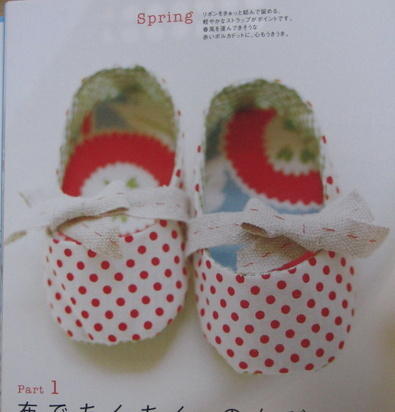 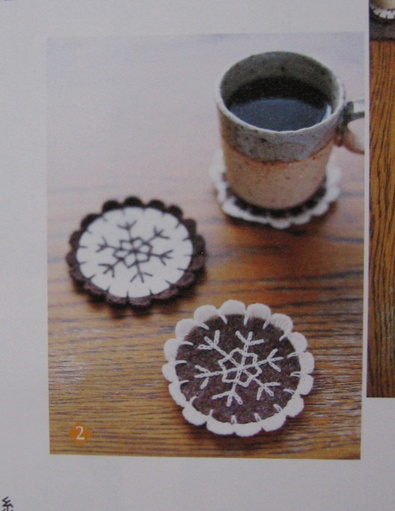 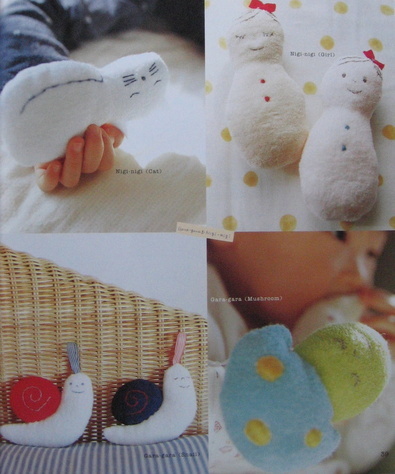 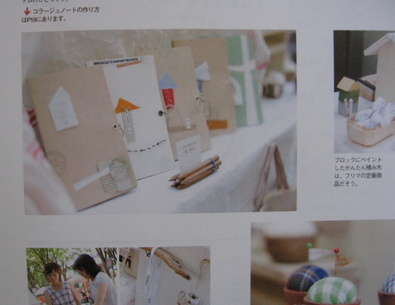 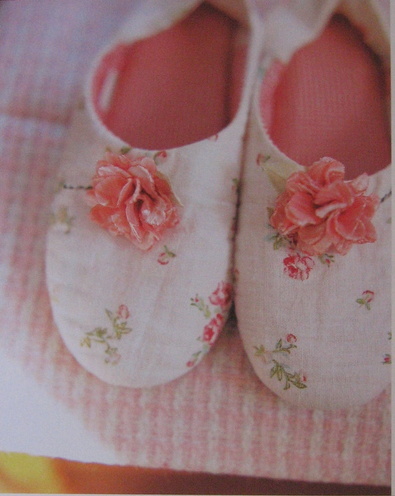 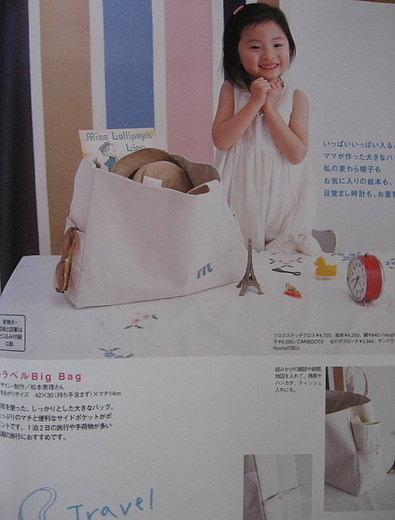 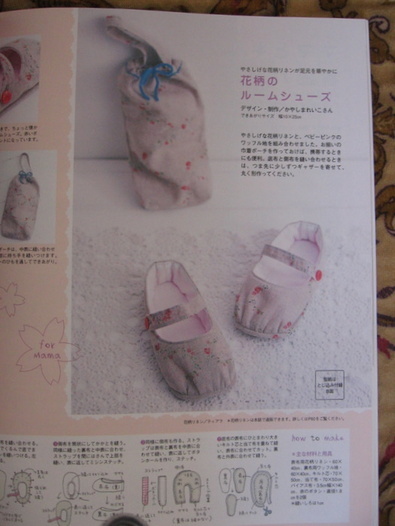 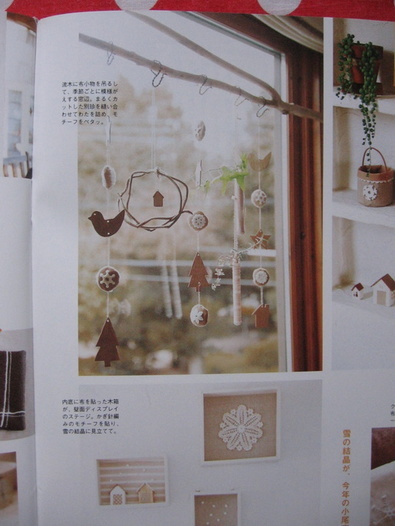 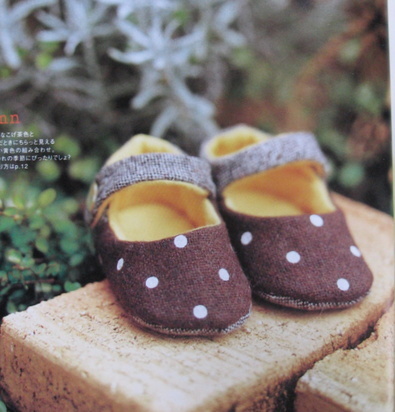 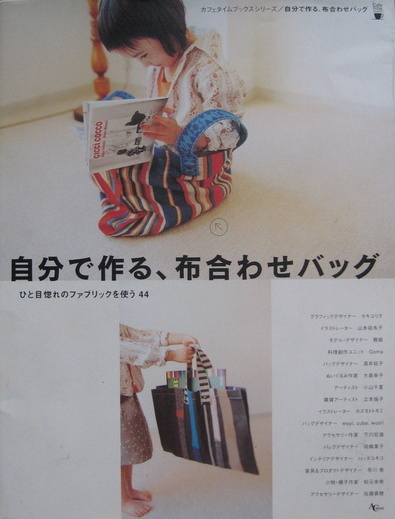 On the other hand, if you are new to Japanese craft magazines/ books, I can't sing their praises highly enough.